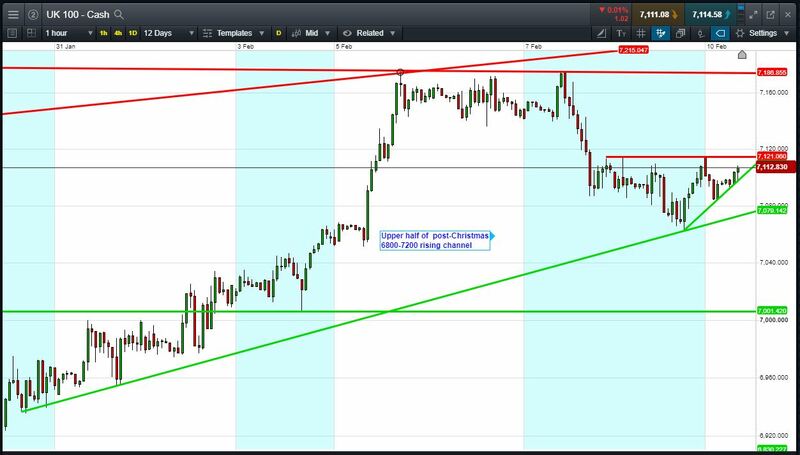 FTSE 100 called to open +45pts at 7115, having bounced from 7065 late Friday to hold the upper half of the post Christmas 6800-7200 rising channel, and a February trend of rising lows support from 6925. 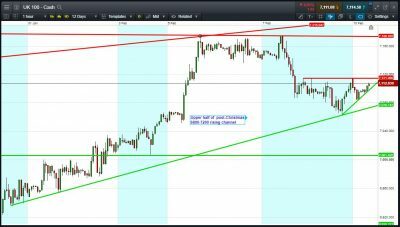 Bulls need a break above 7121 overnight highs (same as Friday) to revive and extend Feb’s uptrend. Bears require a breach of Feb rising support at 7080. Watch levels: Bullish 7125, Bearish 7075. The FT reports Lloyds aiming to hire 700 advisers as it looks to scale up its Wealth Management tie-up with Schroders increasing competition with St James’s Place and Rathbone Brothers. The Times reports Imperial Brands Chairman Mark Williamson expected to confirm soon that he will resign in the coming months. Genel Energy notes reserves update on Tawke PSC; 1P flat at 348M barrels but lower for 2P (502M vs 513M) and 3P (697M vs 880M); Tawke field lower, Peshkabir field 1P and 2P higher, 3P lower. Drax starts UK’s first carbon-capture project at North Yorkshire biomass plant. Telford Homes to acquire 1.14 acre site in Stratford for £20m for 380 homes (50% affordable).